BitPay is a leading exchange established in Atlanta in 2011 and has since been involved in trading digital currencies. It has been in the business for quite some time that it witnessed the growth of the first known online currency, Bitcoin. You can find out for yourself how it continues to be one of the most reliable platforms in the industry today. There is a competition among crypto exchanges today. You might even think that exchanges established during the infancy of this industry are already gone by now. BitPay however, will prove you otherwise. This platform has been around for six years now and, a visit on its website will let you see why it continues to be a go-to place for traders, making it the largest Bitcoin processor. Once you acquire a wallet from this Bitcoin exchange, you can start storing and trading bitcoins. While Bitcoin is the only accepted cryptocurrency here, you can expect many things from this exchange as it ensures you with top-of-the-line services. You can expect simple and low rates from this exchange. For starters, you can get up to 30 free transactions for a month and up to $1,000 daily and $10,000 annually with just 1% for additional transactions. For businesses, there is a 1% fee with unlimited transactions. 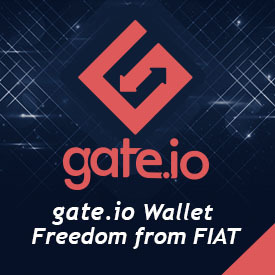 You can store your bitcoins in a wallet provided by this exchange. You can be sure that your coins are safe and secured because you are the only person that can access your wallet, not even BitPay can access it. You can have your wallet in your mobile phone, which makes it very accessible. Another feature of this exchange, which puts another meaning in the word convenience, is the BitPay Card. What this card does is it turns your coins into dollars so it would be easy for you to use your coins anywhere. You can apply for this card within two minutes. These features make BitPay one of the most reliable exchanges today, despite the rise of other exchanges. You know that your coins are secure here and you will be able to use it in safe transactions. You can be sure of transparent trading since you know the rates and there are no hidden charges. If you want to know more about this exchange and its services, you can check out its website, which has all the necessary info that you need to know.